Looks pretty much the same though, eh? That’s because it uses the same master page, but we’ll come to that in a bit. These pages are are stored in a ‘Pages’ library (you can see this highlighted in the URL). They aren’t really like documents though; they’re much more like list items. Basically, these pages are collections of metadata columns. Different pages have different content types, such as the ‘Press Releases’ page type of the Publishing Portal site template. 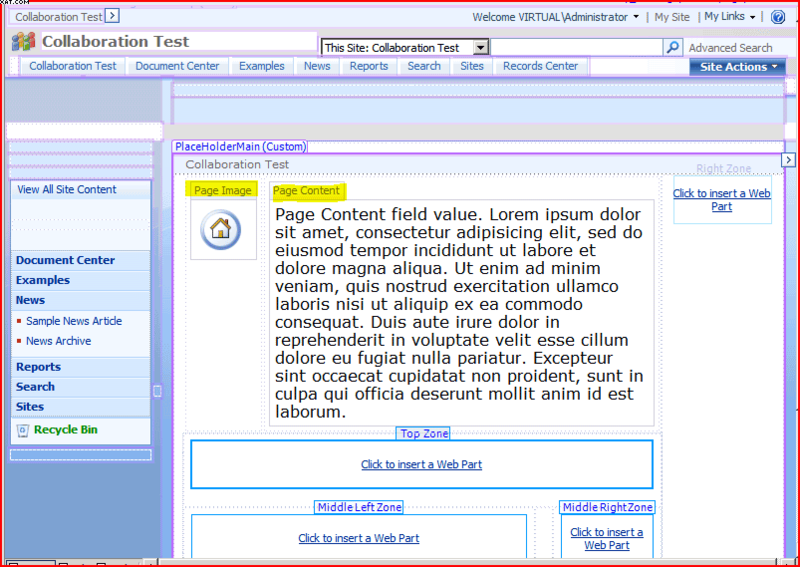 The other pages types that come out of the box are the ‘Article’ and ‘Welcome’ page types of a collaboration site. These content types have different columns of data. For example, you might have a type of page for ‘Vacancies’, and that might have columns for position, salary, etc.. You might also have a type of page for ‘Products’ which might have columns for part number, cost, stock, etc.. 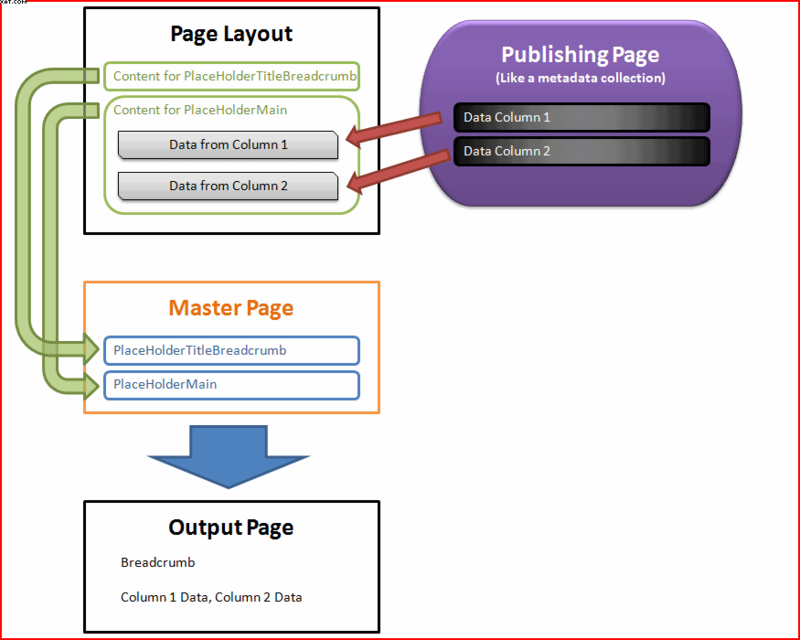 These are kind of like master pages – they define the layout of our metadata columns in an aspx page. In the one shown above there are only 2 metadata columns, which I’ve highlighted – Page Image and Page Content. Here you can see the page metadata being put into the page layout, which in turn puts content into the master page, which finally generates the output that gets sent to the user. One advantage of this approach is that you can change between different page layouts for a given publishing page type – for example, you might have ‘Product page with image on left’ and ‘Product page with image on right’ layouts. Changing the page layout does not require editing any of the content. 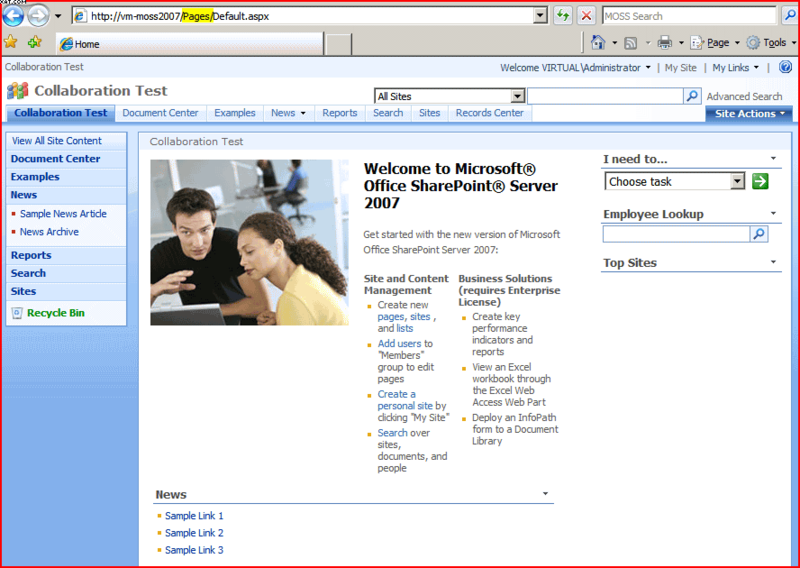 A tutorial to create customized Publishing Pages using SharePoint Designer.